ORCHARD MILE BUILD AWARENESS — . 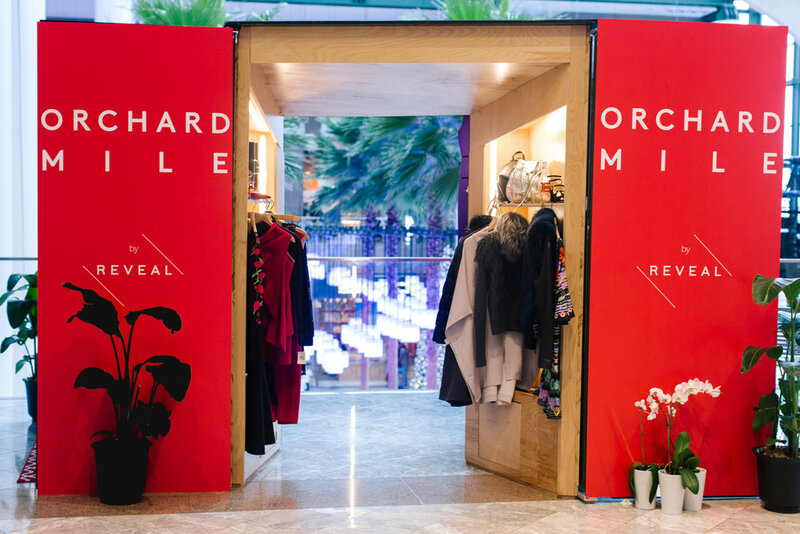 In time for the rush of the holiday season our REVEAL with Orchard Mile, a digitally native marketplace, offered the brand an opportunity to have a physical presence in the most important shopping season of the year. The online hub, home to luxury brands including Rebecca Minkoff, Roland Mouret, Perrin Paris, Marion Parke, and Temperley London, was strategically placed to garner the most traffic. By the end of the activation the REVEAL generated 3.7 million brand impressions. Within the staggering number of impressions, the identified target group was successfully reached. 70% of the consumer engagement came from their target demographic of women between the ages of 30 and 45 years old. Within that group, the concierge team was able to collect valuable data for Orchard Mile, noting that 48% of the consumers had not previously been familiar with the brand, with the REVEAL serving as their first introduction. In addition to providing Orchard Mile with valuable brand introductions and customer insights, our concierge team had a 62% email capture rate allowing the client to take action with the new, targeted customer base.